Ethan McCall is a disturbing individual. From the start of Dead Secret he is manipulative, controlling, and obsessive, but it isn't until the ending of the novel that we truly see how monstrous he is. After killing his own daughter his wife Jodie is determined to take both Ethan's life and her own - after all she has nothing to live for. Her husband is a murderer and her daughter is dead. But something goes horribly wrong and Jodie lives. Jodie knows that she must find out the truth, because if there is any doubt that her husband is still alive whilst she is rotting in her jail, then she wants him dead. Jodie successfully escapes prison after a disturbing incident with a fellow prisoner and enlists Novak's help on the other side to try and find her husband. A terrifying game of cat and mouse ensues as Jodie pieces together her husband's life after his 'murder'. But is Jodie ready to face the truth? For it is more disturbing that anyone could have imagined. Dead Secret is a wonderful fast paced thriller that makes for uncomfortable reading at times, it's conclusion left me reeling, and I can't wait to read more from this author. 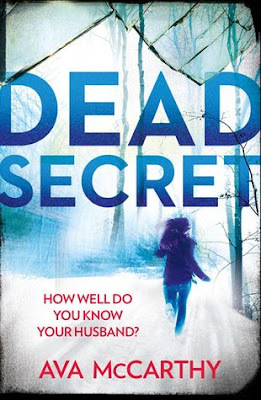 Dead Secret is available from 14 January 2016. You can pre-order it now via Amazon online and Harper Collins.